Boston Police report a man who broke into an apartment at Hemenway Street and Westland Avenue around 6 a.m. today started to sexually attack a woman he found asleep but ran away when she started screaming. Police have released a photo of a man they are seeking for questioning in connection with the attack. The suspect is described as black, with short hair, a dark shirt and light-colored pants. 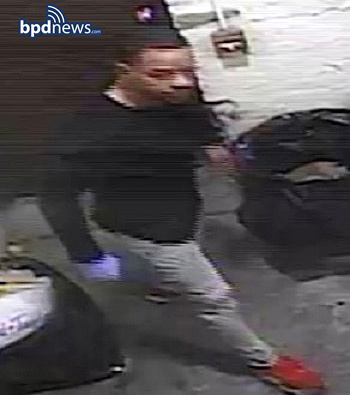 If the guy looks familiar, contact sexual-assault detectives at 617-343-4400 or the anonymous tip line by calling 800)-494-TIPS or by texting TIP to CRIME (27463). This is why the #MeToo movement is so important. No more victimizing of women!! !